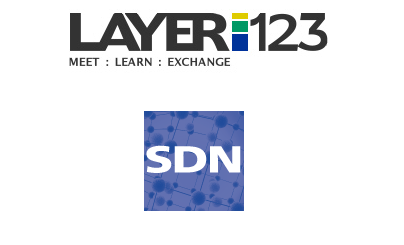 There is no turning back from SDN and NFV as the future of carrier infrastructure, according to the presenters and delegates at this year's Layer123 SDN and OpenFlow World Congress, which was held last week in Düsseldorf, Germany. The event attracted a sold-out audience of 1,300 -- over double the size of last year's conference. Open Platform for NFV (OPNFV)1 is a new open source project that will provide a reference architecture for network operators. The goal is enable industry collaboration to advance the evolution of NFV and ensure consistency, performance and interoperability among virtualized network infrastructures, explained Margaret Chiosi, Distinguished Network Architect at AT&T Labs. The initial scope of OPNFV will be to provide NFV Infrastructure (NFVI), Virtualized Infrastructure Management (VIM), and APIs to other NFV elements, which together form the basic infrastructure required for Virtualized Network Functions (VNFs) and Management and Network Orchestration (MANO) components. Deutsche Telekom's Axel Clauberg gave a speech on how SDN/NFV are driving network transformation already. Core beliefs of the next gen operator should be: Open Standards, OpenFlow, OpenStack, Open Interfaces, and a sincere desire to bring more simplicity to networking. A key point of the presentation was that the industry should collaborate now to ensure that there is no vendor lockin allowed. Once enterprises realize that cloud applications have changed the direction of network traffic to primary north-south, there will be a rethinking of enterprise network architecture, said Google's Geng Lin. This will result in the removal of many dedicated appliances, such as load balancers and IDS/IPS. as enterprises simplify their networks by delivering such functionality as a virtualized network function. Given its own leading deployments of SDN/NFV to run its own operations, look for Google to enter this sector too. The Open Networking Foundation marked a busy year of progress, said Dan Pitt, Executive Director of the ONF. The latest OpenFlow 1.3.4 release has added wireless, mobile; optical; security; and carrier-grade features. The ONF is now offering 4 different certifications, supported by 6 accredited labs worldwide. Membership in ONF over the past year has grown from 113 to 148 companies. 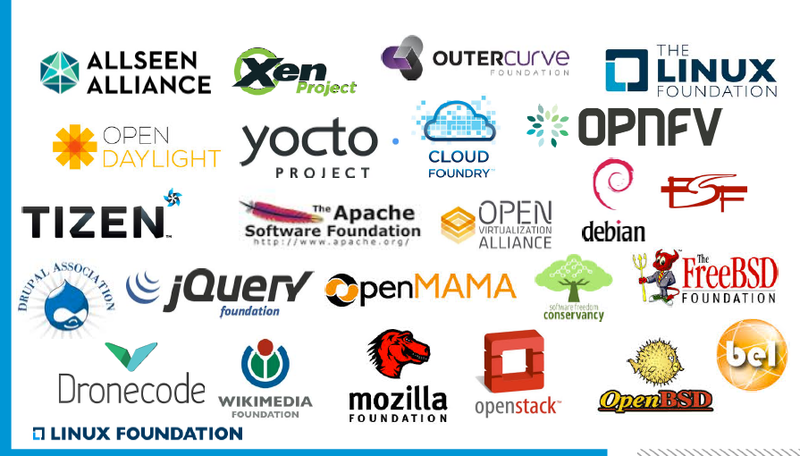 Open Source is redefining the tech industry, said the Linux Foundation's Jim Zemlin, including its OpenDaylight and OPNFV initiatives. To maximize the potential value of Opne Source within your organization, Zemlin says dedicated external R&D managers are needed to shephard the tremendous resources and intellectual property issues involved. 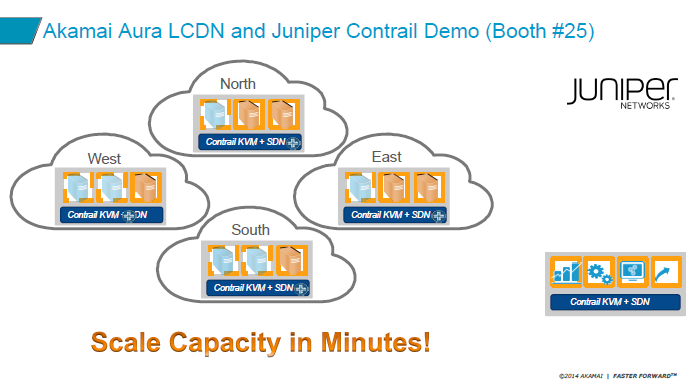 Akamai discussed the new paradigm of the elastic CDN powered by SDN and NFV. The company is building an all-in-one cache architecture with KVM in an open, container-based deployment powered by OpenStack. Service chaining will enable ecosystem services. It will support MANO. Akamai already has a POC underway with another Tier 1 operator and has an ecosystem partnership with Juniper Networks. Nokia's Heikki Almay discussed SDN for Telco Cloud, arguing that the new infrastructure must be built for multi-tenancy as well as multi-app. 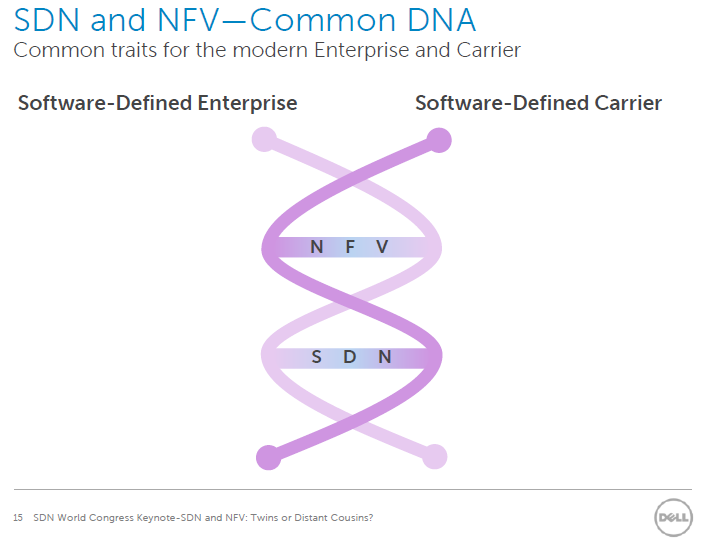 SDN for mobile networks is inherently in two domains: the WAN, where on-demand capacity must be allocated across access and aggregation equipment; and the Data Center, where automation and service chaining will redefine packet flow. 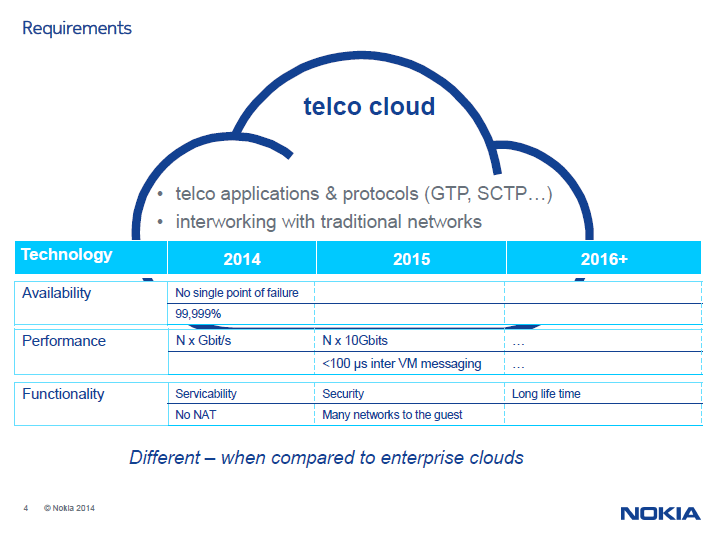 As such, the Telco Cloud is inherently different when compared to enterprise clouds. Dell's Arpit Joshipura explored the convergence of x85 computing and networking, arguing that while these industry sectors were separated at birth, the Open Networking revolution is finally causing their evolutionary paths to head in the same direction. Dell also introduced its deployment-ready NFV platform, which consists of its new Intel Xeon-powered 13th generation PowerEdge servers, Dell Open Networking, and software from open ecosystem partners and open source distributions. The platform also includes foundational software and open interfaces for Management and Orchestration (MANO) for simple operation and ease of integration. Coriant launched its Transcend SDN software suite, providing an advanced programming environment and open interfaces that empower on-demand, application-centric service agility and monetization of network assets. The Coriant Transcend Orchestrator is based on the OpenDaylight Project. Huawei cited progress in developing its FusionSphere platform for NFV and SDN based on OpenStack. Huawei is creating a distributed cloud data center solution (SD-DC2) based on FusionSphere. The idea is to enable centralized resources scheduling and unified cloud services provisioning by integrating multiple data centers of various vendors' and service providers' into a single resource pool through the standard Application Programming Interfaces (APIs). This would create large-scale resource pools, flexible management, and openness. Procera Networks' PacketLogic/V Network Functions Virtualization (NFV) software solution has been benchmarked by the European Advanced Network Test Center (EANTC) at 40Gbps with fully active Internet Intelligence functionality, running on commercial off-the-shelf (COTS) equipment. Specifically, the EANTC testing measured the performance of the PacketLogic/V solutions running on a dual socket Intel Xeon E5-2699v3 CPUs clocked at 2.30 Ghz and 18 cores with 64 Gigabytes of memory (RAM).